Step aside, cheese boards. We're embracing bountiful snack boards as our new favorite ways to graze. 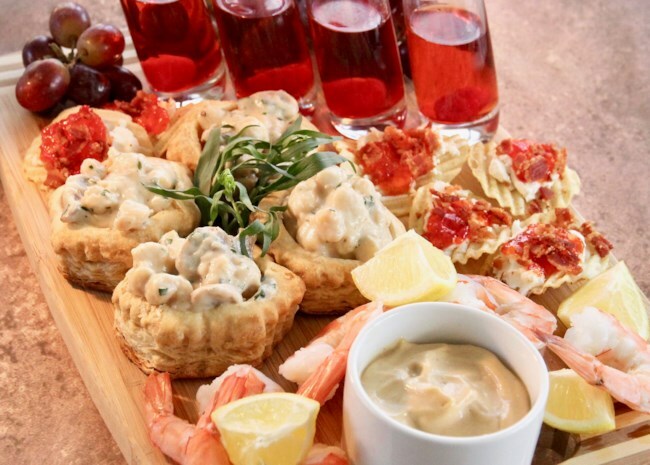 Laden with a whole lot more than cheese and crackers, snack boards can serve as party-worthy appetizer trays or casual build-it-yourself dinners comprised of an array of bite-size bits whose whole is greater than the sum of its parts. 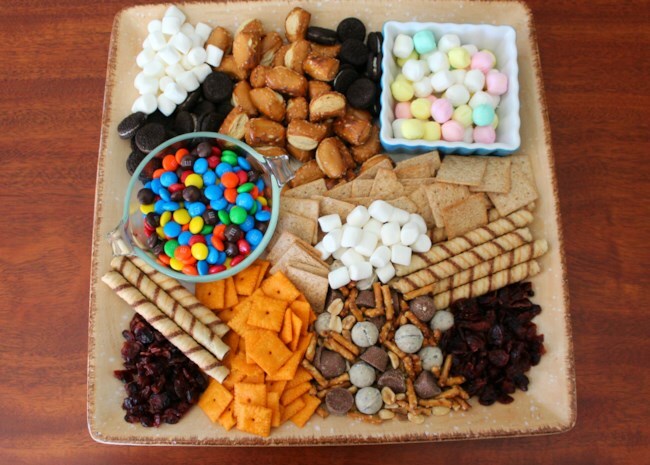 I'll share tips for making satisfying snack boards for any occasion — from choosing what goes on your board to assembling the ingredients in eye-pleasing arrangements — plus six snack board "menus" to try. 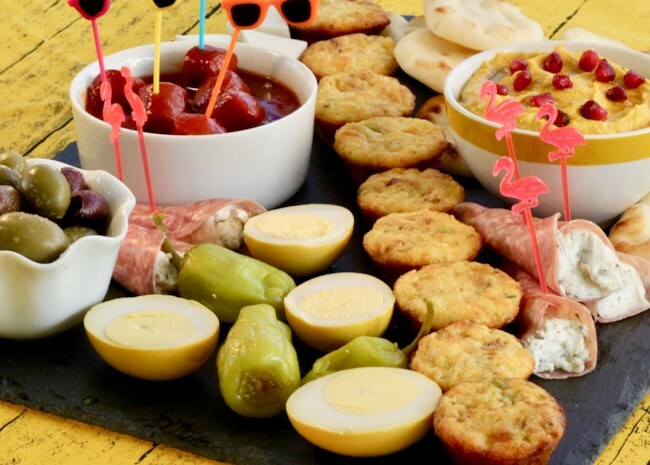 Don't drive yourself crazy trying to recreate the elaborate snack boards we've all seen on Pinterest and Instagram. Just choose four to six items that taste good together — they could be all savory, all sweet (for a dessert snack board), or a combination of both. 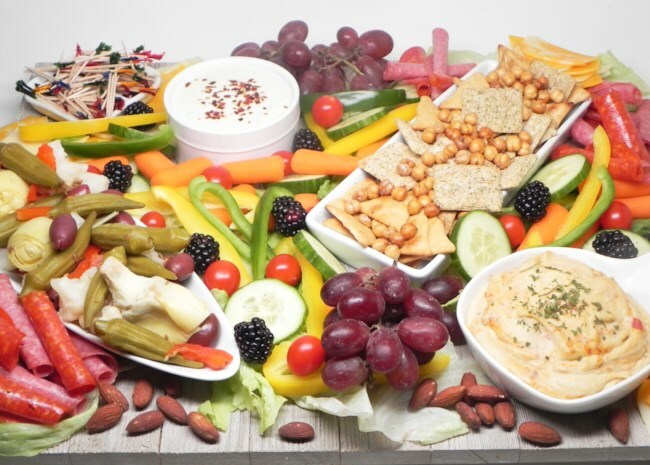 Snacks boards work best with bite-size foods that are easy to eat without a fork and knife. Think sliced meats and cheeses, small crackers, cut vegetables, cherry tomatoes, mini muffins, pretzel sticks, pickles, sliced fruits...you get the idea. Try to size everything so each item can be eaten in one or two bites. Even if you put out a saucy item like meatballs or franks, the bites should still be no larger than a modest mouthful. Use a large cutting board, tray, baking sheet, or platter as your base. First, set down small bowls of dips, sauces, olives, nuts, and anything else that needs corralling. Crackers and breads can fan out around the dip bowls. Arrange groups of sliced meats and cheeses in lines, circles or waves. Fill in color and texture with sliced apples, tangerine sections, berries, grape clusters, carrot and celery sticks, and pickles. For beginner boards, try to keep ingredients grouped together for the most part; as you get more comfortable with arranging food on your snack boards, you can loosen things up and get more creative. Now stand back and look at your board as a whole. Is the colorful and appetizing and easily accessible? You're good to go. Make big batches of dips, spreads, cut vegetables, cheese cubes, and so on, but don't put them all out at one time. Instead, keep everything fresh in the fridge and replenish your snack board as the food gets eaten. Fill airtight bags or containers with crackers and cut bread so you can easy refill those items, too, without having to spend party time in the kitchen. A quick and easy homemade dip of feta cheese, cream cheese, and yogurt is served with accompaniments you can pick up at the store, including fresh and pickled vegetables, sliced meats, crackers, cheeses, fruits, roasted chickpeas, and ready-made hummus. 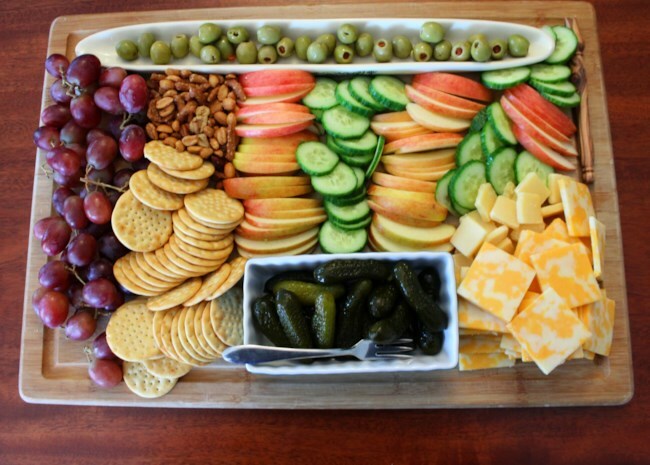 For this fresh and easy snack board, slice up a couple of apples and cucumbers, and fill in the spaces with nuts, cheese, crackers, grapes, and olives. Lots of bite-size sweet and salty snacks cozy up to each other for easy game-day grazing with a dorm-room vibe. You can serve this alongside more substantial sports-party foods if the adult in you feels like you should. 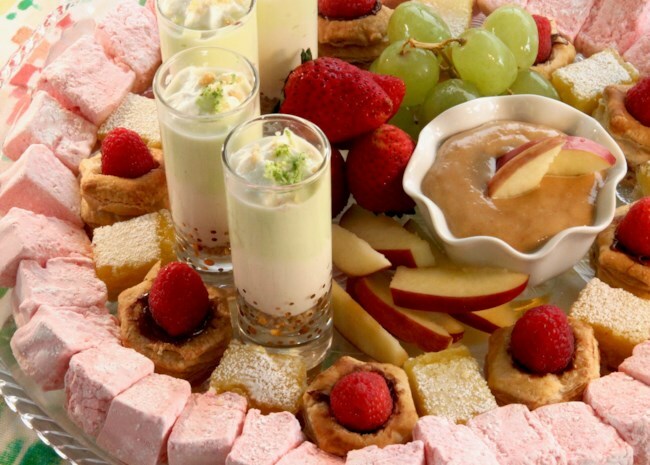 More: Get recipes for appetizers, snacks and mini desserts.